In 1992, the original edition of Dr. Gary Chapman’s mega-bestseller, The 5 Love Languages, was published. Maybe you know about this book. Today sales stand at 11 million, so you’re likely somewhat familiar with it. The premise is that people lean toward giving and receiving one of five “love languages.” A quick refresher: Words of Affirmation, Acts of Service, Receiving Gifts, Quality Time, Physical Touch. Well, my dad was clearly an acts-of-service guy. When I’d come home for a weekend from college, he’d sneak out and get the oil changed in my college ride. Or get the tires rotated with new ones for the front. This was his language, and my siblings and I truly appreciated it...for reasons any broke college student thoroughly understands. It would be possible for someone to think that because his language is acts of service, he does not need to speak “words of affirmation” to those he loves. Or sharing gifts or investing quality time. That’s the excuse, and sometimes men are caught believing it. We know our wife’s love language is acts of service, so we do a nice thing and we’re good. One and done. I believe your wife is looking for both deeds and words. For gifts and words. For time and words. For touch and words. So let’s talk about loving words and loving actions. In your relationships, you need to offer both: meaningful, tender words to back up your thoughtful actions, and loving actions to back up your tender words. “I love you,” coming from a cruel or thoughtless man is hypocrisy. But kind deeds without verbal affirmations of love can also be less than satisfying. Of course, the classic conversation in “Fiddler on the Roof” between Tevye and his wife, Golda, is Exhibit A. Their daughter is getting married because she’s...in love. A conversation ensues. Tevye wants to know if Golde loves him. Even after twenty-five years of washing his clothes, preparing his meals, cleaning the house, milking the cow, and mothering his children...he still wants to know that she loves him. Her deeds should speak for themselves, but this time they don’t. “But do you love me?” Tevye begs plaintively (for the full effect, repeat this with a heavy Russian accent). He wants to hear her say the words. So my somewhat introverted dad was probably not all that unusual. His way of expressing affection was to do loving things, not necessarily to verbalize. As men, I suppose our tendency is to “show” first and “tell” later. “Do I love you?” you might ask rhetorically. “Are you serious?” Then we could recite a litany of good deeds we perform for this lady: daily hard work, financial provision, protection. Given the alternative (laziness, poverty, carelessness), these deeds are a good choice. “But do you love me?” your wife wants to know (without having to ask). Let me suggest that you probably need to speak more than you do. Speak more than you think you should. If you have a kind thought, say it. What a kind and faithful wife I have. Speak the words. Wow, does my wife ever look lovely today. Speak the words. I so appreciate the way she speaks encouraging words to strangers. Speak the words. I’m so proud of you, son. No dad could be happier. Speak the words. If your wife were marooned on a desert island and you were the first to show up, what would you do for this starved, thirsty woman? You’d give her something to drink. You’d feed her. So what if she’s starving for you to speak? Thirsting for encouragement and kindness? You’d feed her the good stuff. You’d treat things you say as King David’s son, King Solomon, suggested. Robert Wolgemuth has been in the media industry for over 39 years. He is a speaker and the best-selling author of over twenty books. He is married to Nancy DeMoss Wolgemuth. 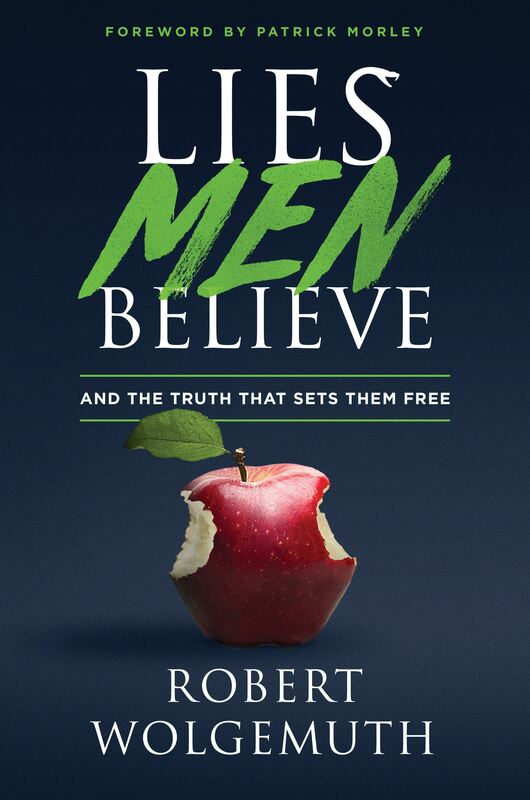 Excerpt from Lies Men Believe and the Truth That Sets Them Free by Robert Wolgemuth. Used with permission from Moody Publishers.